Who doesn’t love a meeting of great minds? 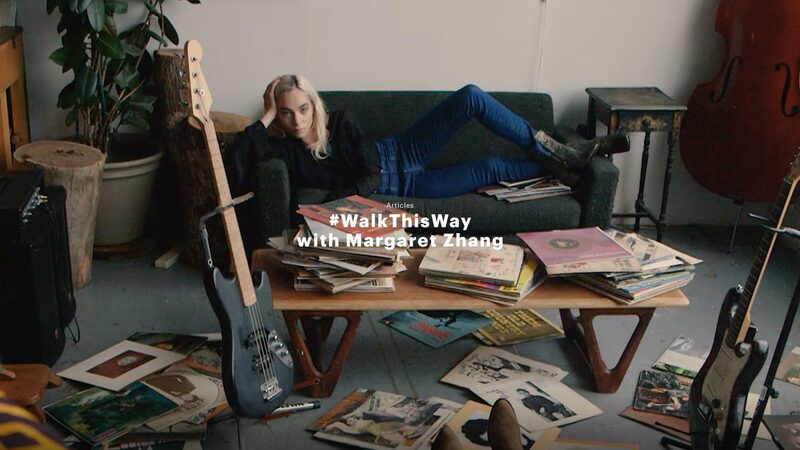 This month we teamed up with blogger and founder of Shine by Three, Margaret Zhang, to create a video that captures the ASH girl in all her rock ‘n’ roll glory. Starring the ultimate rock chick, model-artist Devon Ross (who also happens to be the daughter of Lenny Kravitz’s renowned guitarist Craig Ross), the film begins with Ross heading into the recording studio. It’s not long before she enters her own headspace, unravelling a fun and exhilarating journey of discovery, music and all things ASH. A night out calls for plenty of sultry glamour with a vintage touch. The temperature has dropped and it’s time to get your winter wardrobe prepped.